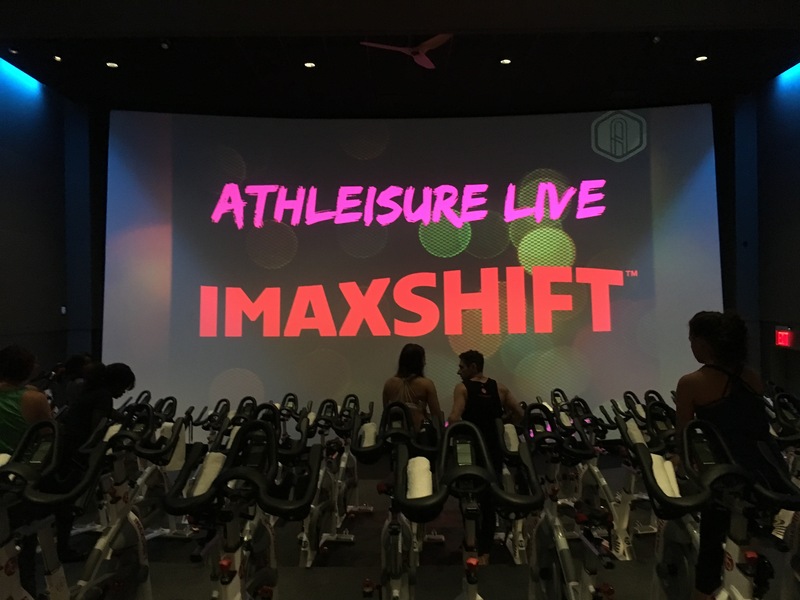 Athleisure Mag invited me to try IMAXShift a new spin studio in Dumbo. I was not paid to write this post, but I was invited to attend this event and class for free. 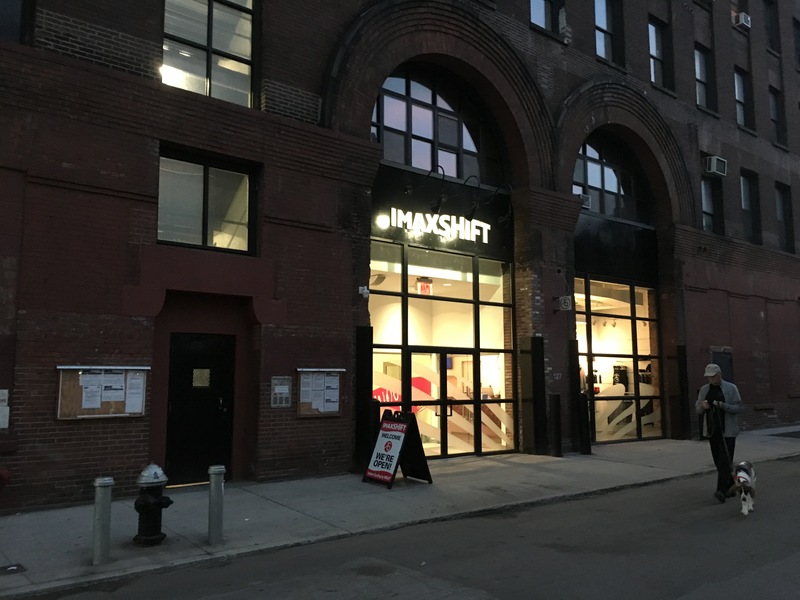 IMAXShift is a hip new spin studio in Dumbo. 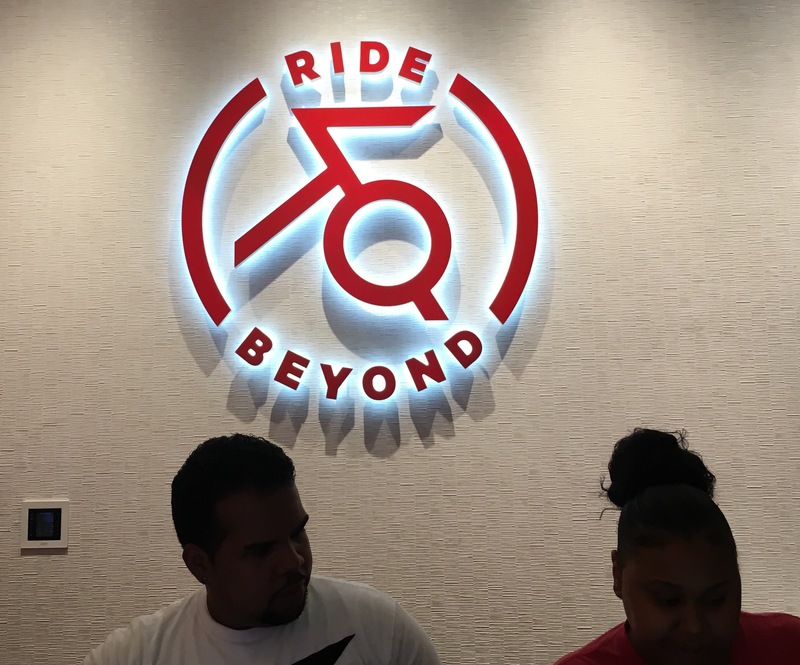 They have a unique take on the traditional 45-minute cycling class. The bikes are set up stadium-style, facing a giant, Imax screen. Before taking the class, I read Ashley’s review. She didn’t love it. The space itself is gorgeous. It’s in one of those old warehouses right on the water in Dumbo. Inside it is one of the largest studios I’ve ever been to (but I work out in the ant farm of Manhattan exclusively). It felt downright cavernous. It was really nice to be in a spin studio’s locker room and not get doused in the sweat of a million strangers. Now let’s talk about the class itself, which is the real unique factor. The room looks like a theater with a giant movie screen. This class was taught by Bree Branks. She is fabulous. It might be an objective fact. She is high energy, but never annoying about it. Bree is a dynamic instructor; She also knew her material REALLY well. The class is guided by images/films on the screen. 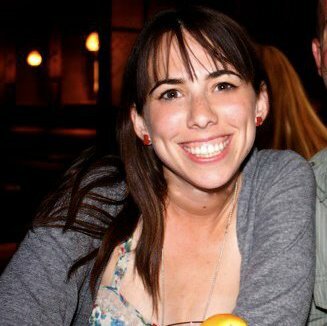 The videos ranged from simulated rides (with scenes from a dark road, a roller coaster, a trail ride, and even a simulated NYC subway track) to music videos and a laser light show. At one point we were a part of the wildebeest migration. (Which fun fact, I’ve seen IRL.) I liked some of these more than others. I found the simulated roads very motivating. The music video and the laser light show less so; but I still appreciated them. Like I mentioned, I was here for a special event hosted by Athleisure Mag. I was in a row with all of the studios instructors, and their energy was incredible. It felt like they really loved the community they were building, and that feeling permeated through the room. I thought the class was great. And I definitely worked hard. I think I would take it once in a while, but not regularly. I don’t love looking at a screen when I work out. If I am on a treadmill with a TV attached, I cover the TV. It’s also just not near my home on the UWS. But it was a really special class and I absolutely enjoyed it. I thought it was a great way to spice up spin and the instruction was fabulous. Thanks for having me! Has anyone else tried ImaxShift? Or anything like this?